Recent Arrival! 2019 Nissan Rogue SL Gun Metallic Factory MSRP: $36,525 25/32 City/Highway MPG 400 plus indoor car showroom, state of the art facility built in 2017, number 1 Nissan volume dealer in Chicago, number 1 Nissan Certified Pre Owned Dealer in the USA, hassle free pricing, Only KBB Instant Cash Offer Nissan Dealer in Chicago, our sales volume gives us buying power to get your financing approved with great rates and terms for everyone, and we are THE highest rated dealer in Chicago by Google. 2019 Nissan Rogue SL Magnetic Black Pearl Factory MSRP: $36,665 25/32 City/Highway MPG 400 plus indoor car showroom, state of the art facility built in 2017, number 1 Nissan volume dealer in Chicago, number 1 Nissan Certified Pre Owned Dealer in the USA, hassle free pricing, Only KBB Instant Cash Offer Nissan Dealer in Chicago, our sales volume gives us buying power to get your financing approved with great rates and terms for everyone, and we are THE highest rated dealer in Chicago by Google. 2019 Nissan Rogue SL Caspian Blue Metallic Factory MSRP: $36,765 25/32 City/Highway MPG 400 plus indoor car showroom, state of the art facility built in 2017, number 1 Nissan volume dealer in Chicago, number 1 Nissan Certified Pre Owned Dealer in the USA, hassle free pricing, Only KBB Instant Cash Offer Nissan Dealer in Chicago, our sales volume gives us buying power to get your financing approved with great rates and terms for everyone, and we are THE highest rated dealer in Chicago by Google. 2019 Nissan Rogue SL Pearl White Factory MSRP: $36,810 25/32 City/Highway MPG 400 plus indoor car showroom, state of the art facility built in 2017, number 1 Nissan volume dealer in Chicago, number 1 Nissan Certified Pre Owned Dealer in the USA, hassle free pricing, Only KBB Instant Cash Offer Nissan Dealer in Chicago, our sales volume gives us buying power to get your financing approved with great rates and terms for everyone, and we are THE highest rated dealer in Chicago by Google. 2019 Nissan Rogue SL Pearl White Factory MSRP: $37,315 25/32 City/Highway MPG 400 plus indoor car showroom, state of the art facility built in 2017, number 1 Nissan volume dealer in Chicago, number 1 Nissan Certified Pre Owned Dealer in the USA, hassle free pricing, Only KBB Instant Cash Offer Nissan Dealer in Chicago, our sales volume gives us buying power to get your financing approved with great rates and terms for everyone, and we are THE highest rated dealer in Chicago by Google. 2019 Nissan Altima 2.5 Platinum Pearl White Factory MSRP: $37,510 25/35 City/Highway MPG 400 plus indoor car showroom, state of the art facility built in 2017, number 1 Nissan volume dealer in Chicago, number 1 Nissan Certified Pre Owned Dealer in the USA, hassle free pricing, Only KBB Instant Cash Offer Nissan Dealer in Chicago, our sales volume gives us buying power to get your financing approved with great rates and terms for everyone, and we are THE highest rated dealer in Chicago by Google. Recent Arrival! 2019 Nissan Pathfinder SV Midnight Pine Factory MSRP: $40,040 19/26 City/Highway MPG 400 plus indoor car showroom, state of the art facility built in 2017, number 1 Nissan volume dealer in Chicago, number 1 Nissan Certified Pre Owned Dealer in the USA, hassle free pricing, Only KBB Instant Cash Offer Nissan Dealer in Chicago, our sales volume gives us buying power to get your financing approved with great rates and terms for everyone, and we are THE highest rated dealer in Chicago by Google. 2019 Nissan Maxima 3.5 SL Red Tintcoat Factory MSRP: $40,295 ABS brakes, Active Cruise Control, Alloy wheels, Compass, Electronic Stability Control, Front dual zone A/C, Heated door mirrors, Heated front seats, Illuminated entry, Low tire pressure warning, Navigation System, Power moonroof, Remote keyless entry, Traction control. 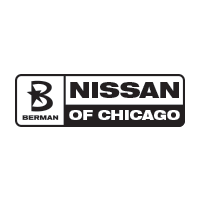 20/30 City/Highway MPG 400 plus indoor car showroom, state of the art facility built in 2017, number 1 Nissan volume dealer in Chicago, number 1 Nissan Certified Pre Owned Dealer in the USA, hassle free pricing, Only KBB Instant Cash Offer Nissan Dealer in Chicago, our sales volume gives us buying power to get your financing approved with great rates and terms for everyone, and we are THE highest rated dealer in Chicago by Google. 2019 Nissan Pathfinder SL Magnetic Black Pearl Factory MSRP: $40,840 19/26 City/Highway MPG 400 plus indoor car showroom, state of the art facility built in 2017, number 1 Nissan volume dealer in Chicago, number 1 Nissan Certified Pre Owned Dealer in the USA, hassle free pricing, Only KBB Instant Cash Offer Nissan Dealer in Chicago, our sales volume gives us buying power to get your financing approved with great rates and terms for everyone, and we are THE highest rated dealer in Chicago by Google. 2019 Nissan Pathfinder SL Pearl White Factory MSRP: $41,235 19/26 City/Highway MPG 400 plus indoor car showroom, state of the art facility built in 2017, number 1 Nissan volume dealer in Chicago, number 1 Nissan Certified Pre Owned Dealer in the USA, hassle free pricing, Only KBB Instant Cash Offer Nissan Dealer in Chicago, our sales volume gives us buying power to get your financing approved with great rates and terms for everyone, and we are THE highest rated dealer in Chicago by Google. 2019 Nissan Pathfinder SL Magnetic Black Pearl Factory MSRP: $44,060 19/26 City/Highway MPG 400 plus indoor car showroom, state of the art facility built in 2017, number 1 Nissan volume dealer in Chicago, number 1 Nissan Certified Pre Owned Dealer in the USA, hassle free pricing, Only KBB Instant Cash Offer Nissan Dealer in Chicago, our sales volume gives us buying power to get your financing approved with great rates and terms for everyone, and we are THE highest rated dealer in Chicago by Google. 2018 Nissan Murano Platinum Arctic Blue Factory MSRP: $47,065 21/28 City/Highway MPG 400 plus indoor car showroom, state of the art facility built in 2017, number 1 Nissan volume dealer in Chicago, number 1 Nissan Certified Pre Owned Dealer in the USA, hassle free pricing, Only KBB Instant Cash Offer Nissan Dealer in Chicago, our sales volume gives us buying power to get your financing approved with great rates and terms for everyone, and we are THE highest rated dealer in Chicago by Google. 2019 Nissan Murano Platinum Pearl White Factory MSRP: $47,945 20/28 City/Highway MPG 400 plus indoor car showroom, state of the art facility built in 2017, number 1 Nissan volume dealer in Chicago, number 1 Nissan Certified Pre Owned Dealer in the USA, hassle free pricing, Only KBB Instant Cash Offer Nissan Dealer in Chicago, our sales volume gives us buying power to get your financing approved with great rates and terms for everyone, and we are THE highest rated dealer in Chicago by Google.